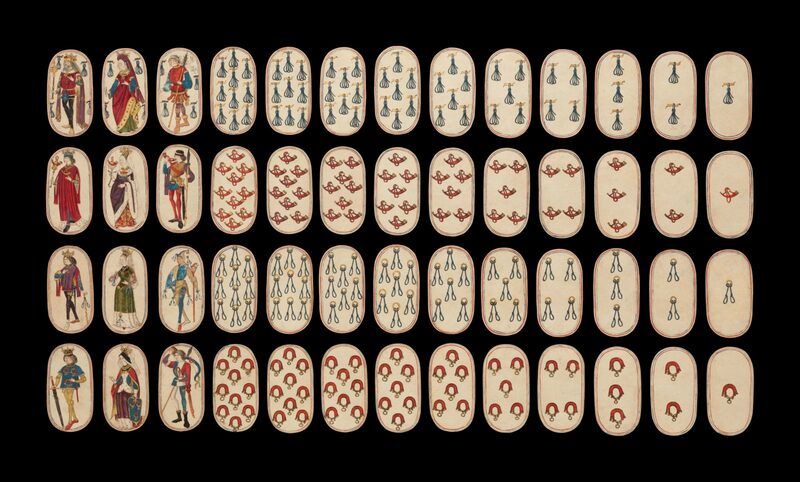 The Cloisters set of fifty-two cards is the only known complete deck of illuminated ordinary playing cards (as opposed to tarot cards) from the 15th century. The figures appear to be based on Franco-Flemish models and seems to represent a lampoon of extravagant Burgundian court fashions. It is not known how the cards were played.